On Wednesday, Uber announced it will be shutting down it’s self-driving car operations in Arizona. The company will be laying off 300 employees across the state and will now turn its attention to self-driving testing facilities in San Francisco, Pittsburgh, and Toronto. The self-driving facility in Arizona had grown to become Uber’s largest testing ground. Amidst the company-wide layoffs, vehicle operators -- those paid to supervise vehicles during tests -- will be most affected. However, Uber plans to provide outplacement services, such as interview prep and resume building. Uber’s decision to shut down its Arizona operations didn’t exactly come as a surprise based on recent news. In March, the company found itself under fire after one of its self-driving vehicles hit and killed a pedestrian in Tempe, Arizona. The car was in self-driving mode, though it had a human driver, when 49-year-old Elaine Herzberg was struck while walking her bike across the street outside of a crosswalk. Arizona welcomed Uber’s self-driving testing into the state with open arms after the company moved its fleet of self-driving vehicles there from California in late 2016. The company was in much disagreement with the California Department of Motor Vehicles, as Uber believed it shouldn’t have to comply with California regulations over self-driving vehicles. “California may not want you, but we do,” Arizona Governor Doug Ducey said at the time, assuring Uber that regulations would be much less stringent in his state. However, despite Ducey’s push to have the company in Arizona, it didn’t take long for him to suspend the testing of driverless cars on public roads. The governor watched video footage of the Tempe accident, and after seeing it firsthand ordered an indefinite suspension. In a letter to Uber, Ducey called the accident “an unquestionable failure” on the part of the company’s technology. Self-driving cars have certainly been a pressing concern among consumers recently, with the growing number of accidents causing many to worry that the technology isn’t ready for open roads. For example, following the recent accident in Arizona, reports found that the vehicle’s autonomous feature detected the pedestrian in front of the car but failed to take action to avoid hitting her. According to The Information -- a tech publication -- two people who were briefed on Uber’s investigation reported the cars’ sensors saw the pedestrian but didn’t recognize her as an object to avoid. The sources explained that the car’s object-avoidance software can be adjusted so the car can make every effort to avoid hitting a solid object -- but not swerve to miss a paper bag floating in its path. A February survey found that nearly 60 percent of consumers who drive “connected cars” (i.e. - cars that have smart technology) said they wouldn’t buy a self-driving car even if money weren’t an object. In a recent AAA survey, nearly 73 percent of consumers said they would be scared to drive a fully autonomous vehicle. 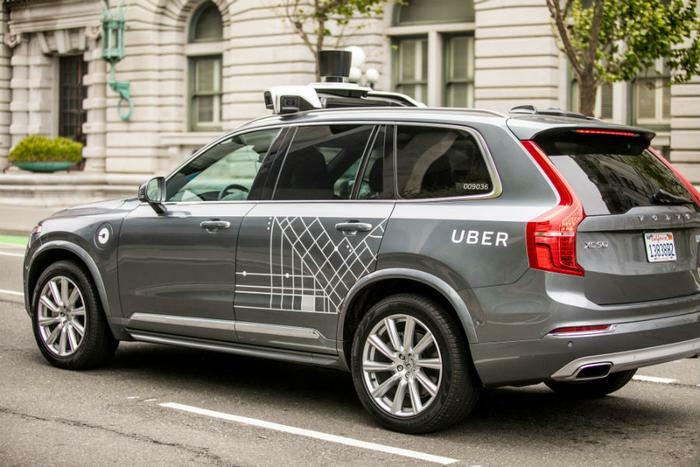 Despite consumer worry, Uber is looking to return to its self-driving testing this summer, following the conclusion of a National Transportation Safety Board (NTSB) investigation into the Arizona accident.